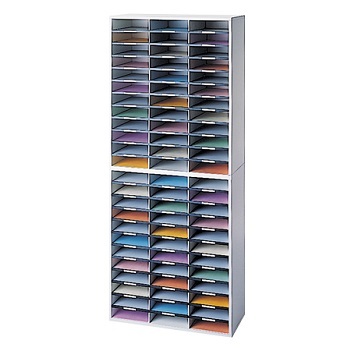 The ideal desktop organiser to manage moderate workflows for small offices...ideal for mail, forms or other A4 size literature. 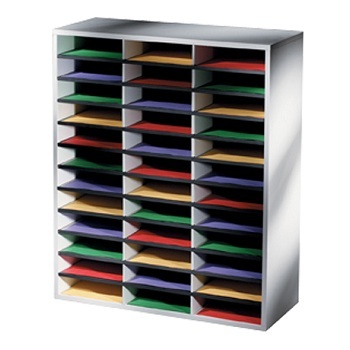 21 Compartments - Includes coloured plastic channels and labels for setting up your own index system. Corrugated board construction with wire frame to add strength and support. Easy to assemble - no tools required. Colour - Stylish print blends with any decor. 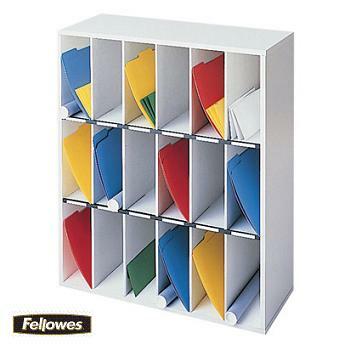 Multiple compartment literature sorter to organise your A4 size sales literature, forms or other documents. 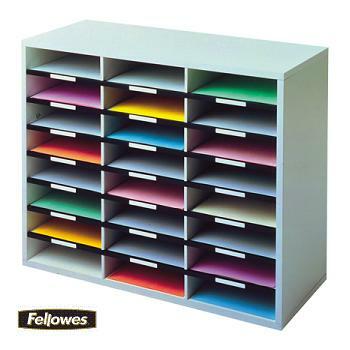 Solid melamine laminate frame construction with corrugated fibreboard shelves. Individual compartment labelling areas. Minimal assembly required. 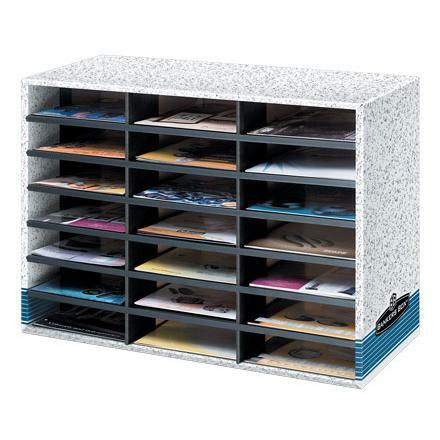 Multiple compartment vertical sorter ideal for sorting mail or your A4 size literature, forms or other documents. 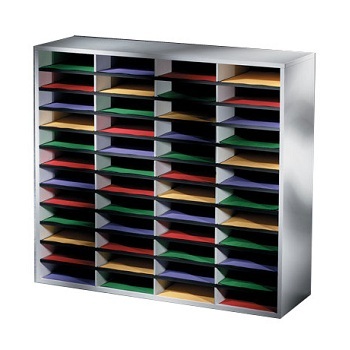 18 Compartments - Solid melamine laminate frame construction with corrugated fibreboard shelves. Individual compartment labelling areas. Minimal assembly required.